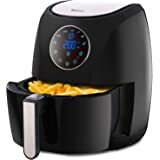 Sold by Kitchen-Store EU and Fulfilled by Amazon. Gift-wrap available. 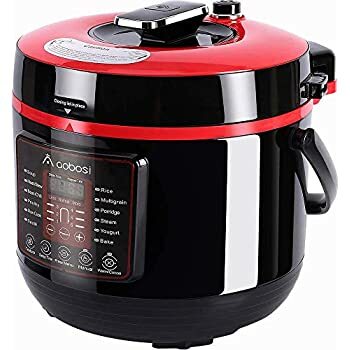 【8 in 1 MULTI-COOKER】-- Aobosi 6 Liter Multifunctional pressure cooker can replace your Pressure Cooker, Rice Cooker, Slow Cooker, Steamer, Warmer, Saute Pan, Stew, Stockpot& Yogurt Maker.Make meals without the stress of tidying up several pots. 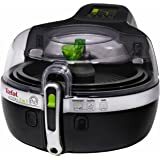 It's the all-in-one solution for creating meals in the kitchen. 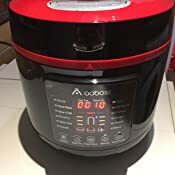 Aobosi electric pressure cook is better than traditional cookware, the healthy nutrients in the food are largely retained. 【12 COOKING MENUS PRESET】-- Soup,Meat/Stew,Bean/Chili,Poultry,Slow Cook,Saute,Rice,Multigrain,Porridge,Steam,Yogurt,and Bake. Prepare the ingredient, select your desired menus and next, wait to enjoy flavours leisurely. Easy and convinient for even beginners or professionals. 【6 SPECIAL DIY MANUAL SET】-- Texture,Delay Time ,Manual, Warm/Cancel,+/- Pressure Cooking Time and Pressure. 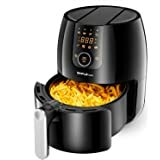 6 level pressure and 3 level texture optional to mostly meet your personalized taste, and also DIY your own delicacy with "manual" function. 24 hours Automatic keep-warm and Delay Time. Fully control your cooking and let you have personalized options. 【BPA FREE STAINLESS STEEL INNER POT】-- Food Grade high quality 304 stainless steel inner pot,no rust, no chemical coating,3-ply bottom for evenly heat. Healthy and Safety, also it can save time&energy up to 70%. Removable inner pot is dishwasher safe. 【10 PROVEN SAFETY MECHANISMS】-- Featuring 10 proven safety mechanisms,Dry cooking and overheating protection, Heat insulated housing, ensure safe operation for daily use by beginners or professionals. 2 years warranty. 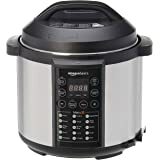 Sold by Kitchen-Store EU and sent from Amazon Fulfillment. Enjoy your smart and healthy life，Save time for you to do more meaningful things. This versatile Aobosi pressure cooker is the ideal cookware in kitchen. 17 built-in programs help you to deal with your breakfast, lunch and dinner with ease. No need keep an eye on the cooker all the time, built-in certain cooking procedures will automatically cook delicious meals for you. 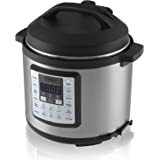 With sealed pressure cooking technology, the electric pressure cooker allows to cook food faster but retain moisture, nutrients and vitamins. Treat your family or friends with delicious, flavorful and healthier meals. 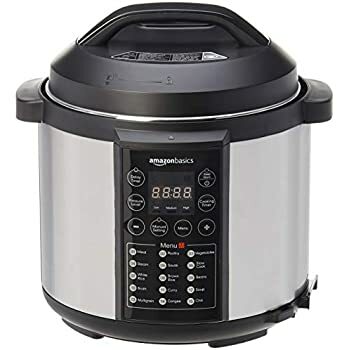 Meanwhile, The digital electric pressure cooker features a manually setting function. Except the dishes on the cookbook, you can DIY your own recipes. 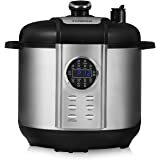 5.0 out of 5 starsTake the pressure off yourself and let the cooker have it. First pressure cooker I’ve ever owned and love it. Haven’t been too adventurous with it yet, just casseroles so far. However a slow cooked casserole in 40 mins is brilliant it keeps the flavour of the veg and the meat is melt in the mouth. As a working single mother of one this is a godsend. I can have the food prepped and cooking in five minutes and do the housework while it cooks before sitting down to a home cooked meal with my child. Multi tasking made easy. 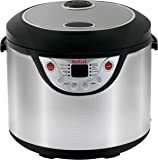 This is a super advanced electric pressure cooker, safety performance is high. 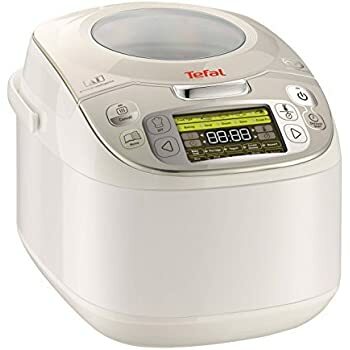 All my family satisfied with this cooker.There are with many different cooking function, but also with a scheduled time function, this one is my favorite. 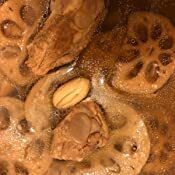 I have been using ordinary before paragraph no scheduled time functions, leading to early every day up to do breakfast for children because they have to go to class I also have to go to work, feel time not enough use every day. 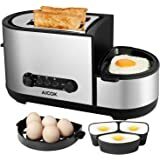 Since changed with scheduled time function which has the electric pressure cooker, put all the things before sleep every night in the pan, set a good time, the second day will have delicious breakfast on time, very convenient. I will recommend this to all the people who in needed,super value,the most important which can save your time. It's a great cooker. 6 ltr big enough for a family of 5. Easy clean and very simple to use. Tryed recipes from the box. Some are nice and easy to make. Worth a try. The stainless steel inner pot is superb. Had a non stick inner pot before was so easy to scratch it. No hassles with this one. All good. 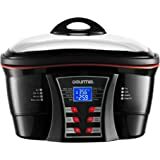 5.0 out of 5 starsGreat multicooker. 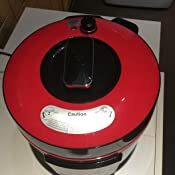 Best multicooker I have ever owned, easy to use and clean. 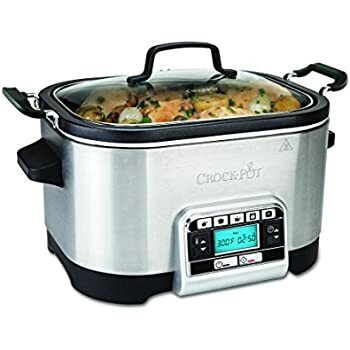 Best way to slow cook stew. Comes with little recipe book and easy to follow instructions. Highly recommended. I got this on last Saturday and couldn't wait to make my turkey chili in it. 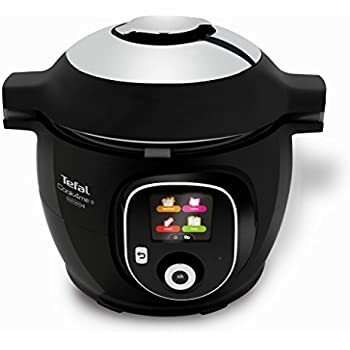 So easy to "brown" the meat and veggies with the saute function, works better/faster than stove top. Put the lid on and set it to cook on the "Beans" setting. Results were amazing. So much flavor. Everything cooked perfectly. Highly recommend to anyone. 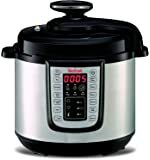 I was pleased I made a right choice buying this electric multi cooker, big enough for cooking 4-portion meal. I am going to have another baby soon and I believe this is sufficient big for 5-member-family too. On the other hand, I felt regret I did not wait for prime day offer, as now it has 15% off. Therefore I wrote here for those who are still hesitate about buying this, don't miss this great offer. It looks beautiful, I bought it to replace my old electric rice cooker, it has more functions than ordinary cooker. 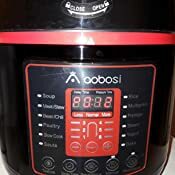 I have been using this since I have it, it tenders beans and meat quickly. Happy with its performance.